January 23, 2017 by David Shields. Average Reading Time: about a minute. Unique was patented by William H Page — and assigned to William H Page & Co — on March 15, 1870, (US Design No 3,901). The type was first shown in James Conner’s Sons Typographic Messinger, Vol 5, No 2 (April, 1870). 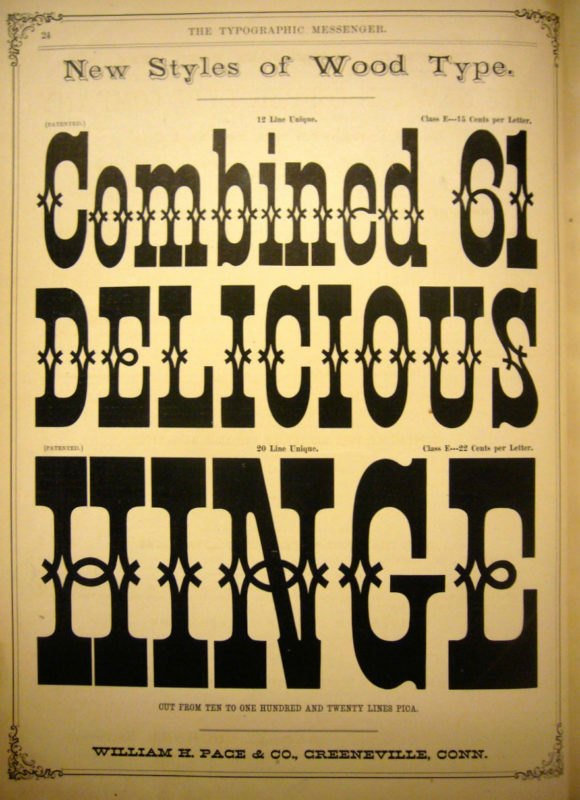 Wm H Page & Co first showed Unique in their catalog Specimens of Wood Type from July, 1870. In this catalog, Unique was listed in their price Class E. Unique was also shown in Page catalogs from August 1872, July 1873, September 1876, 1880, May 1882 and January 1887. Curiously it was not shown in the 1874 Specimens of Chromatic Wood Type, Borders, &c. It does seem from the known printed catalog record that only Page produced this design (possibly because of the patent). 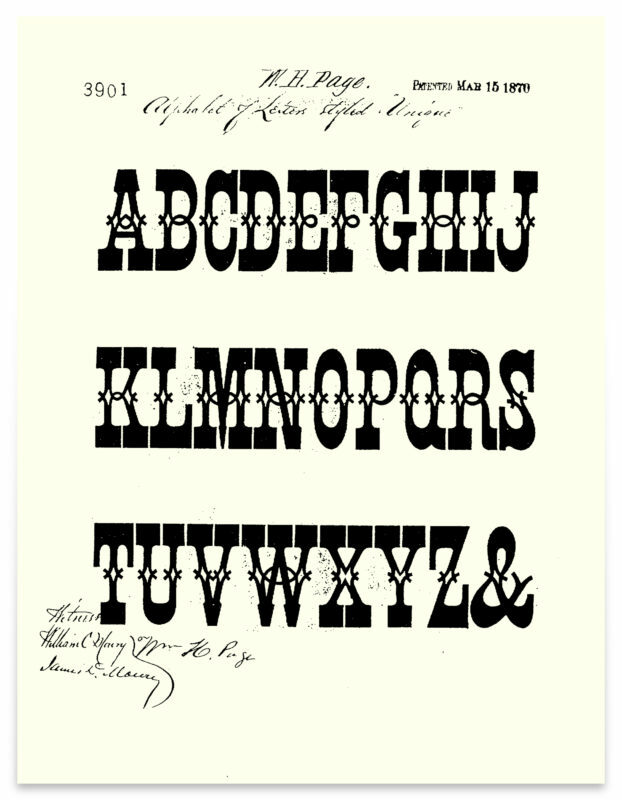 After acquiring the Wm H Page Wood Type Co in 1891, Hamilton named the face No 304. Page also cut a reversed version of the face named Streamer No 21 (renamed No 378 by Hamilton), curiously not first shown until the 1880 specimen catalog. A double-lined streamer was also made with this face named Streamer No 43 that was also cut as a two-color version named Streamer No 34. Both streamer versions were shown in the Page’s Wood Type Album, Vol 1, No 4 (January, 1880).